Last day of March, I think it's going out as a lion. The wind is incredible again. Very tired of this and we are horribly dry even without it. Hope we get the rain that is predicted. At least Spring has finally sprung. The Crocus are blooming and the Daffodils are just beginning. 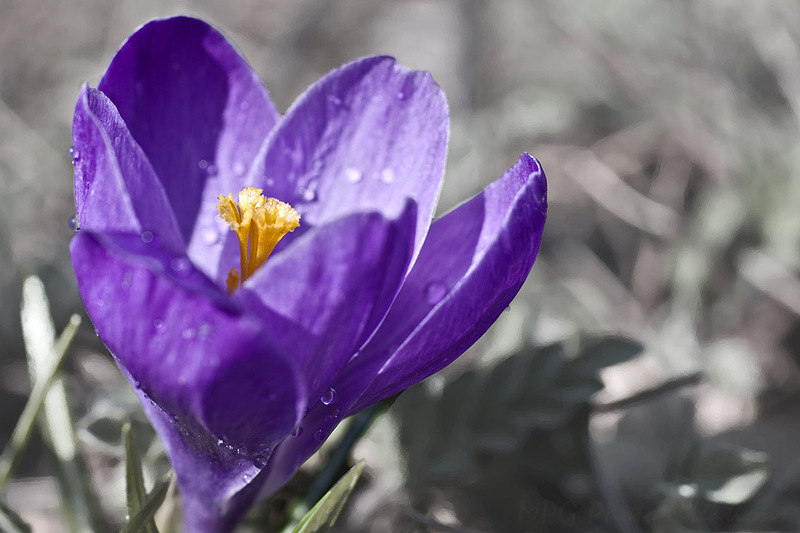 Here is a macro image of one of the Crocus in my garden.